Scanned from the green Zeus covered Sacred Saga book by Future Studio. A double-paged spread featuring Pisces Aphrodite. 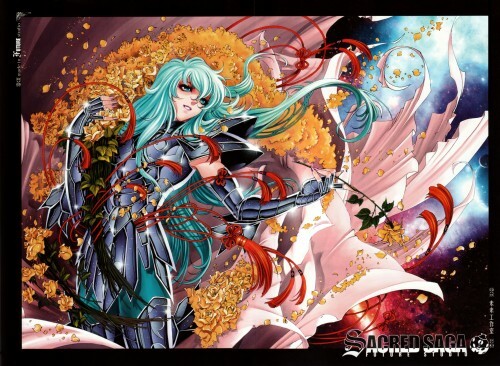 Saint Seiya have the greatest armor. Thx for sharing. muito muito obrigado por este scan! I just love Aphrodite ! Beautifully made. Impressive. Love this guy's work. Excelente imagen, muy buen aporte !